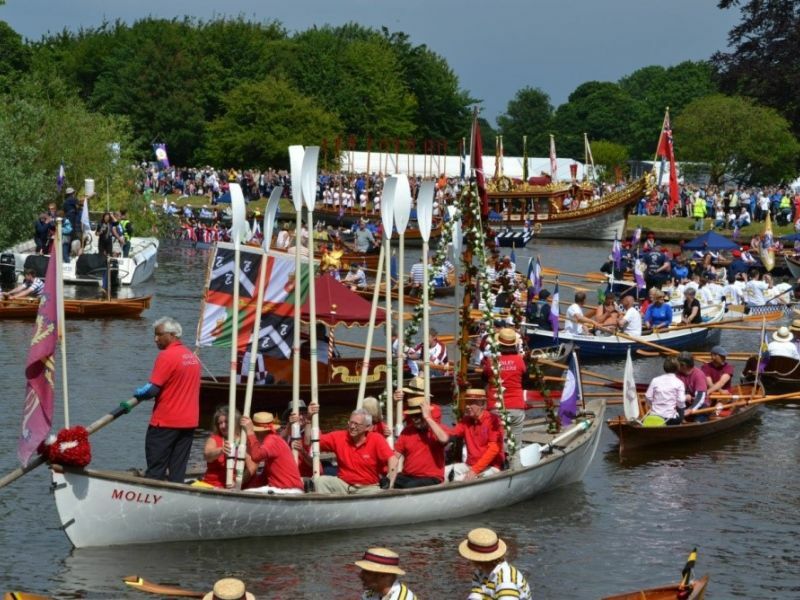 Jubilant was invited to appear in the Magna Carta River Relay a celebration of the 800th anniversary of the sealing of the Magna Carta. Her task was to convey a number of elected citizens from the three sponsoring boroughs, Royal Borough of Windsor & Maidenhead, Runnymede and Spelthorne as Charter Bearers. They were responsible for carrying a facsimile of the Magna Carta from Hurley on Thames to Runnymede on board Jubilant. The weather was not too kind to start. 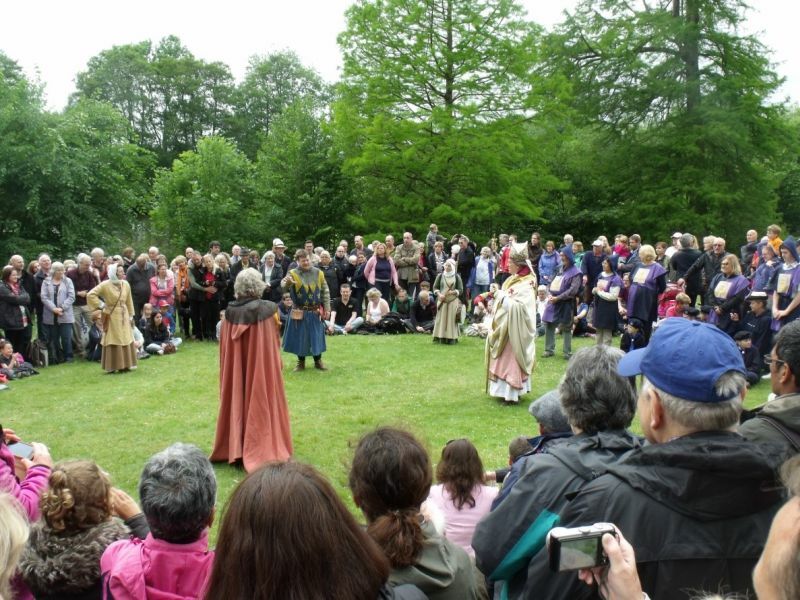 A group of “strolling layers” re-enacted the story of the Baron’s revolt against King John’s misrule. The scene at Runnymede with the Royal Row Barge Gloriana in pride of place arriving just after Jubilant had delivered the Magna Carta.